Snow covered dunes are fantastic fun in the winter! Grab your sled (snowshoes, cross-country skis or hiking boots) to enjoy some time outdoors at the national park. You can also witness a beautiful natural occurrence at the dunes in the winter - shelf ice! Find safe viewing locations of shelf ice here. The Indiana Dunes State Park is home to Devil’s Slide, and with a name like that, you know it’s going to be fun! You can also hike, cross-country ski and snowshoe at the State Park, if you want to take a break from sledding. Growing up in Lowell, this was one of my family’s go-to sledding hills. I can’t wait to go back this year; it’s easy to get to and parking is free. 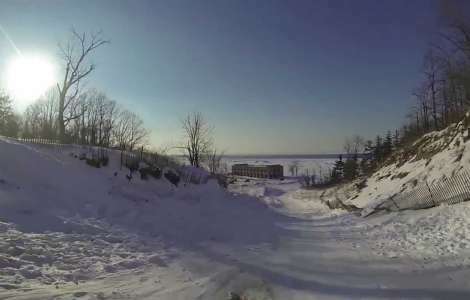 Lemon Lake offers not only sledding hills, but also trails for hiking and cross-country skiing. Don’t own your own skis? Not a problem. You can rent them Monday through Friday from 10:00 a.m. to 5:00 p.m. and Saturdays and Sundays from 9:00 a.m. to 5:00 p.m. When Lost Marsh Golf Course closes, the sleds and skis come out. Visitors are asked to check in at the club house upon arrival before they take to the course for some fun. Enjoy hiking among the 230+ acres and sliding down the hills at Sunset Hill Farm County Park. Bring your own equipment and enjoy sledding and hiking from dawn to dusk. Sled down one of the largest hills in Northwest Indiana, or cross-country ski through an easy three-mile trail through Oak Ridge! The same rules apply for this park as Lemon Lake when it comes to sled requirements. There are also no rentals here so make sure to bring your own sleds and skis. Stoney Run contains seven miles of easy to moderate trails for cross-country skiing that wind through a wooded and hilly area as well as flat open spaces. Keep in mind, this course is designed for intermediate to advanced skiers! Don’t stop at sledding! Enjoy ice skating in the region as well. Ice skating at Valparaiso&apos;s Central Park Plaza is $5/person and offers skate rentals. The plaza is open seven days a week (hours vary). Fridays feature Rock’n Skate from 7:00 p.m. to 10:00 p.m. and Tuesdays are Two for Tuesdays! Visit online for hours of operation and rental fees. No snow? Don’t let that stop you from winter activities. 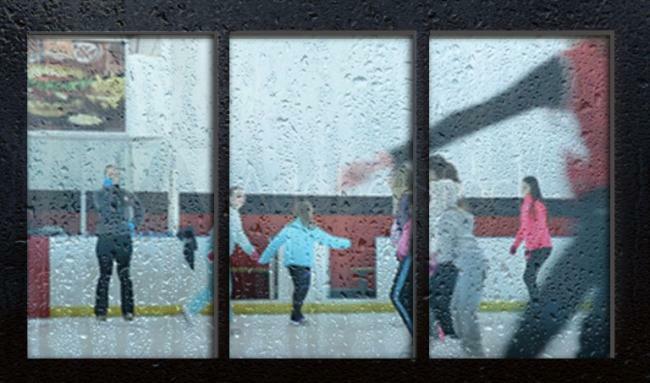 You can ice skate indoors at Midwest Training and Ice Center in St. John. Midwest offers open skate daily and Cosmic Skate on Saturday evenings starting at 10:00 p.m. View open skate hours here. Thursdays through Sundays until the end of February ice skate the plaza at Deep River Waterpark. Rentals and concessions are available on-site. Check the 2018/2019 operations calendar for special holiday hours and school break periods. The City of Crown Point opens Bulldog Park the winter of 2019! Located one block west of the downtown/Square, this brand new park will offer skating and rentals. 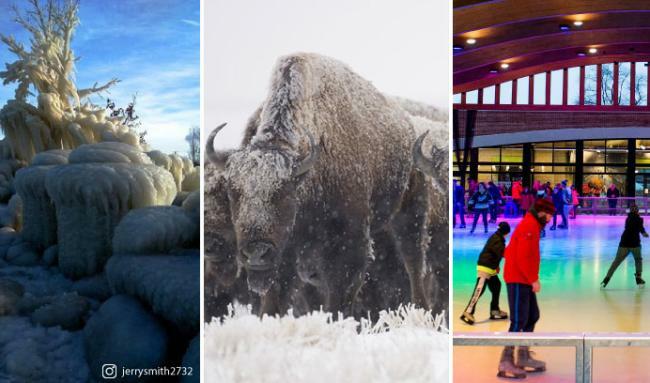 If you really want to stay away from the cold and the ice this winter, here are some places you might want to visit! 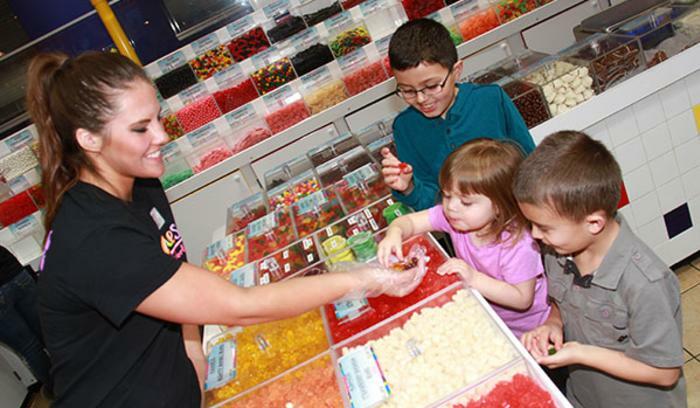 Albanese is definitely a sweet treat in the Midwest and always a fun family trip! Whether you want to browse the store in search of the most interesting flavors, or simply find your favorite comfort candy you will be amazed at what there is to offer. They also do factory tours both guided and self-guided, just call to make an appointment! Do you have a little one ages 9 or under? Watch them have a ball at Bellaboo’s where they can create, engage, and explore with daily activities and interactive fun! 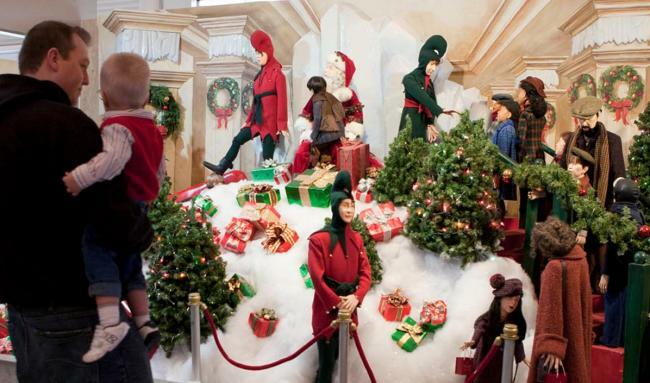 Head over to the Indiana Welcome Center to see the animated window displays inspired by “A Christmas Story,” take pictures with Flick outside, write a letter to Santa at the North Pole, and get some Christmas shopping finished at the gift shop! Whatever your plans for this winter, make sure to have fun and enjoy your time with friends and family! Don’t forget to follow Along the South Shore on social media and tag #AlongTheSouthShore so we can see all the fun you’re having.